Raised in a wicked combination of tragedy, poverty and illness, Browne saw his father, an inspector for the National Society for the Prevention of Cruelty to Children, pass away from tuberculosis when he was nine. The destitution which followed led the family to lose their home and most of their possessions before emigrating to Britain, where his mother would die from the same illness just weeks later. In England Browne found some redemptive fortune, first winning a scholarship to the renowned Jesuit school Beaumount College and then befriending the son of a wealthy Dublin surgeon. The Chance family paid the future politician’s way through medical school in Trinity College during the Second World War. But England also offered a sickly Browne, himself now a victim of tuberculosis, an important insight into the early development of socialised medicine, part of the evolution of what became the National Health Service in 1948. Back in Ireland after graduation Browne committed himself to tackling tuberculosis, a disease that killed nearly 10,000 people per year here in the early twentieth century. Frustrated by the impotence of individual action to meet the enormous challenges posed by the disease, and unwilling to profit through private practice from the misfortune of the poor masses consumed by it, Browne settled on politics as the only means to tackle what he saw as “Ireland’s most important social problem”. This was a theme of Browne’s life: entering politics with a moral conviction and confidence in his ability to solve problems, his ideological progression was shaped by the challenges he aimed to overcome and the frustrations he endured in doing so. In the 1948 general election Browne stood for Seán Mac Bride’s Clann na Poblachta, a newly-formed republican party that aimed to channel discontent at civil war politics into a social agenda. 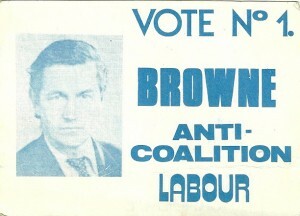 Browne represented the social-democratic wing of a party that was riven with contradictions but ascendant in the polls. Nominated as the Minister for Health of the first coalition government after claiming a seat in Dublin South-East, Browne began one of Ireland’s most notable political careers at the tender age of thirty-three. 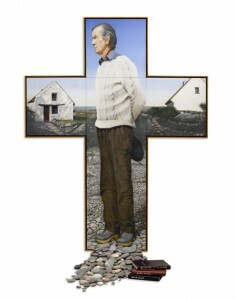 Catholic social teaching was the ideological basis of Irish capitalism. It rejected social democracy and universal entitlement, the basis of Browne’s Mother and Child Scheme. In office Browne instigated an enormously successful campaign against tuberculosis, forcing the government to pursue extensive investment in free screening, and providing access to new antibiotics and vaccines as well as a massive construction campaign of hospitals, clinics and sanatoria. This effort is credited with reducing the rate of deaths from tuberculosis from 146 per 100,000 in 1947 to 16 per 100,000 in 1960. Despite this achievement, one of the most impressive in post-independence Irish politics, it was another aspect of his time as Minister for Health which defined his legacy: the attempt to introduce the Mother and Child Scheme. The Mother and Child Scheme was a proposal by Browne, grounded in a provision in the 1947 Health Act introduced by the previous Fianna Fáil government, to legislate for free healthcare, without means-testing, for mothers and children up to the age of 16. The story of the Mother and Child Scheme told today filters it through a liberal lens: a contest between Church and state. But this is only part of the story, secured in its particular prominence by Browne’s release of correspondence between the Church hierarchy and political leaders, to the Irish Times. Browne’s political philosophy at the time was weaker in its analysis of Irish capitalism and more focused on the cultural importance of secularism. This blinded him to a degree to the potency of the other opponents of the scheme: the Irish medical profession. The Irish Medical Association was determined to defend private healthcare from socialisation and opposed both the 1947 Act and the 1950 scheme. This followed the path of their colleagues in Britain, who had initially opposed Aneurin Bevan’s NHS, and their predecessors in 1911 who scuppered the Irish Health Care insurance Act. 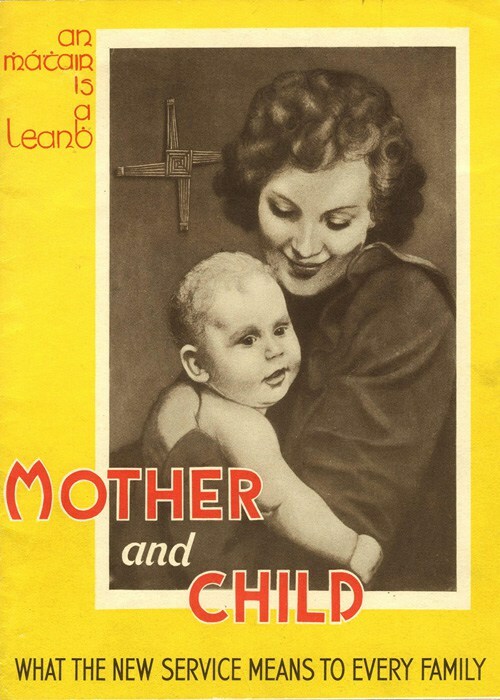 Although Archbishop John McQuaid later described the face-off over the Mother and Child Scheme, which ended with Browne’s resignation in 1951, as “the greatest challenge to clericalism in Ireland”, its significance was deeper than this. Both the Church and business in Ireland understood the potential of such a scheme, which drew widespread support from the popular classes, as a social-democratic moment for Ireland. 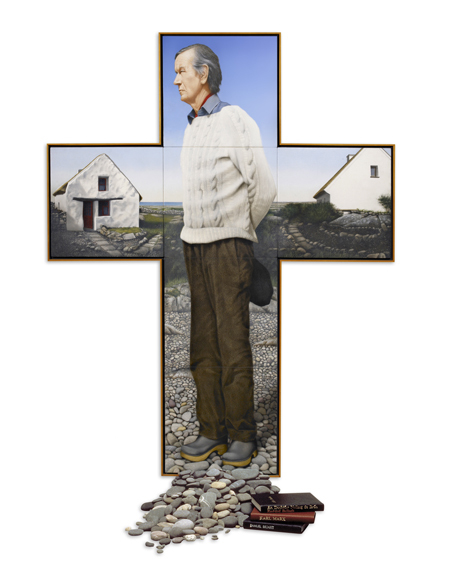 Catholic social teaching was not simply an impediment to liberalism gaining a foothold in social and cultural issues, it was the ideological basis of Irish capitalism. Welfare focused on the private sphere – the family backed by Church and charity – with services provided on means-tested or modest transfer basis. This kind of corporatism rejected the social-democratic ideal of universal entitlement, which underwrote Europe’s progressive welfare states. It also siphoned off large sections of social reproduction to forced labour in carceral institutions. Poverty, rather than be eliminated, was always to be with us. In the end a cheap imitation of the Mother and Child Scheme was introduced in 1953 to satiate public appetite generated by the controversy. Mothers received free health care for infants, but only up to six weeks and on a means-tested basis. The mould Noël Browne had tried to break remained intact. After he was forced to resign from government, Browne went on to join Fianna Fáil, erroneously hoping that the “seed” of social democracy in the party that saw it introduce the widows’ and orphans’ pensions and the sickness allowance and to build social housing could be developed into something more fundamental. Instead he found even more entrenched support for the prevailing economic and social mould than had existed in Clann na Poblachta. Following inevitable expulsion from Fianna Fáil he established the National Progressive Democrats, a social-democratic party in complete contrast to the prophets of the free-market who were later to usurp the name. During his time in the NPD he focused on his favoured role, parliamentary watchdog, teaming up with Roscommon radical Jack McQuillan to probe the de Valera and Lemass governments and earn the title from the latter of “the real opposition”. While he later accepted the limitations of parliamentarianism for advancing left-wing politics Browne was to retain a close attachment to the theatre of liberal democracy throughout his political life. His autobiography Against the Tide ends with the claim that the “properly educated and enlightened politician [is] a first step towards justice in modern society”. He returned to parliament as a Labour Party TD in 1969 after finally joining a party that, although earlier rejecting him for being too radical, was the natural home for social democratic politics in Ireland. The late sixties and seventies was a period of opportunity for the Left. An international resurgence in socialist ideas exemplified by the events of May 1968 in Paris managed to find its way to Ireland, where a younger, more modern electorate was receiving. Fine Gael gestured leftwards in the ‘60s with its “Just Society” policies while Brendan Corish went even farther, breaking the Labour Party’s long-standing commitment to prop up conservatism and declaring with some bravado that the seventies “would be socialist”. This rebellion against coalition on behalf of the Labour leadership was to be short-lived, recalled by Browne as little more than opportunism. 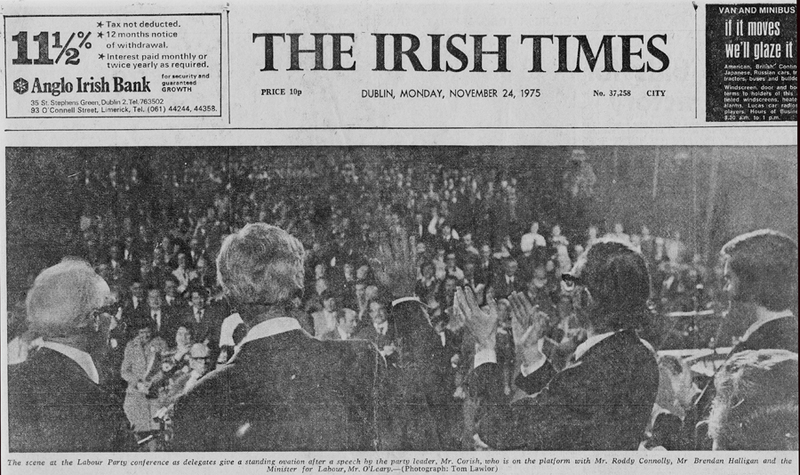 Over-estimating the changing basis of Irish politics, Corish had hoped that socialism might be a “password to office” in 1969 but broke with his commitments swiftly once electoral success failed to materialise. Browne’s sense of betrayal is palpable in his writings, a residue of a political career that saw him experiment with each centre-left party in turn, finding them unwilling to challenge power. His tendency to see politics in moral and interpersonal terms sharpened his polemic against party leaders but also clouded a more systemic analysis. In reality both Brendan Corish and his predecessor as leader William Norton were deeply conservative. They represented the supine soul of the Labour Party for whom coalition was not so much a tactic, as Browne understood it, but part of its make-up. Rather than seeking to represent the demands of labour the party’s historical raison d’être has been to mediate for capital. This mediating role is exactly the one written for labour leaders by Catholic social teaching and its corporatist economic model. In fact, it has continued to be espoused to this day by figures as significant as former ICTU General Secretary David Begg. Norton and Corish’s commitment to this essential aspect of Irish capitalism is even more easily understood when seen in the context of their membership of the Knights of Columbanus. Browne’s most prominent bust-ups with the Labour leadership towards the end of his time in the party came over this relationship with the Church. He was regularly ahead of mainstream liberal opinion in advancing issues like abortion, sexual freedom and gay rights, with Senator David Norris remarking that he was the first politician he recalled arguing for the decriminalisation of homosexual acts, in parliament. In a telling episode the media took an aspect of a 1971 speech he made to the Labour Party about these issues and focused on a section where he questioned the sexual activities of priests in the Irish education system. The Labour leadership, scandalised by the accusations levelled at what they called “respected” men of the Church, or afraid of the controversy they had generated, disowned Browne publicly. Shortly afterwards Noël Browne was excluded from running in the general election by leadership chicanery, leaving him to claim a seat in the Seanad for Trinity College. Refusing to take the Labour whip Browne was a constant critic of the party’s National Coalition government with Fine Gael. In addition to being economically right-wing, this government was also one of the more repressive in Irish history, restricting the freedom of the press under the infamous Section 31. For the Labour Party, coalition was not so much a tactic as part of its makeup. It existed to mediate for capital. Browne’s own relationship with the militant republican tradition was complex. Initially joining Clann na Poblachta, standing alongside men who had been engaged in armed conflict just years previously, he progressed to see it as an “anti-democratic” tradition that was more Catholic and nationalist than anything descended from the French revolution. Undoubtedly divorced from the day-to-day realities of the North, Browne often approached a struggle that was more active than any in the Republic at that time with a theoretical distance. This is best seen in his response to a request by the H-Blocks Committee to support their campaign in the early 1980s. Browne, a long-time campaigner for prisoners’ rights in the south, said he would support the campaign if it highlighted the political nature of imprisonment more generally and not just of members of the republican movement. The campaign rejected this request which, while more radical at many levels than the politics of the provisionals, was abstract from the urgent battle over the hunger strikes. 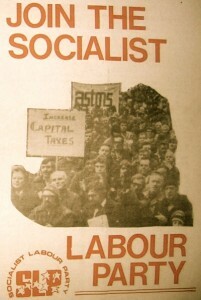 The national question was to play a crucial role in the demise of his next political adventure, the Socialist Labour Party (SLP), which he formed with another Labour rebel, Amalgamated Transport and General Workers’ Union leader, Matt Merrigan, in 1977. Browne founded the party after coming to terms with the need for “a movement outside parliament” during his frustrations of the previous decade. The party initially enjoyed significant success, with Irish language activist and member Donncha Ó hEallaithe recalling it opened branches in thirty of Ireland’s forty-one constituencies within months. But it ultimately fell victim to issues that were to blight the Irish left in coming decades: factionalism and differences over the North. 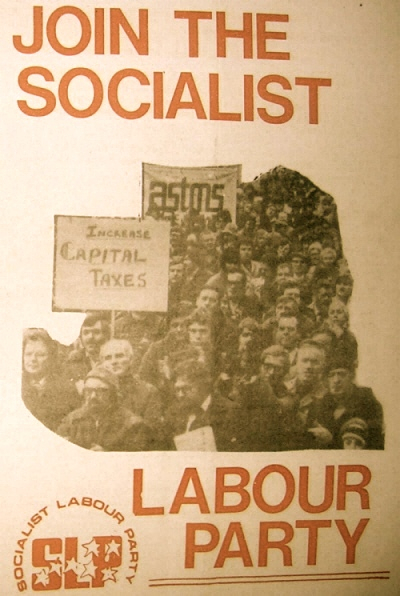 The SLP’s broad-left philosophy permitted a multitude of tendencies to become affiliated and organise on their own terms, from the precursors of today’s Socialist Workers’ Party to activists who had been influential in the civil rights’ movement with People’s Democracy. Ultimately, the process of building the SLP as a party came second to the politics of its factions. The issue of Northern Ireland also dominated party conferences as the tensions heightened in the late seventies and early eighties. A motion passed which blamed the situation singularly on “British imperialism” proved intolerable to Browne and his supporters, leading to inexorable decline by 1982 and inflecting much of his own later opposition to the provisionals. In his final years Browne grew increasingly fond of Marxism, seeking to find a pattern in the tumultuous events of his political career. But he remained, like Yanis Varoufakis, an “erratic Marxist”, retaining an independence of thought which led more doctrinaire socialists like Joe Higgins to describe him as “impressionistic”. The more regular criticism of his political career comes from the Irish establishment, all-too-keen to paint him as a cantankerous individual, impossible to work with and prone to implosion. Undoubtedly there is an element of truth to this. At the same time it is difficult to argue with his grandson Glyn Carragher who, when he recalls the cackle of careerists Noël had to deal with, prefers to ask “how he didn’t kill one of them”. Despite his weaknesses Browne was an extraordinarily rare figure on the Left in Irish politics, someone who enjoyed real success in popularising progressive ideas among the urban working-class and rural poor. He entered politics not with an ideology but with a conviction and was shaped by events – a path that tends to produce the most formidable campaigners. Ultimately he came to the importance of movement-building too late and never really understood its dynamics. But there is a lot to be learned from his political career, even with the recent demise of his arch-nemesis the Catholic Church. Today’s left-wingers would be best instructed by where he left off rather than by where he began: the need for an organisation outside of the establishment parties that could be an insurgency against the status quo rather than playing a role within it. After the ravages of austerity his vision of a socialist organisation which was “democratic, with branches in every working-class community” is no longer as far off as it once seemed. A start would be recalling that our tradition has heroes a great deal closer to home than Connolly and Larkin. Next article Legal Services Regulation Act pro-lawyer.